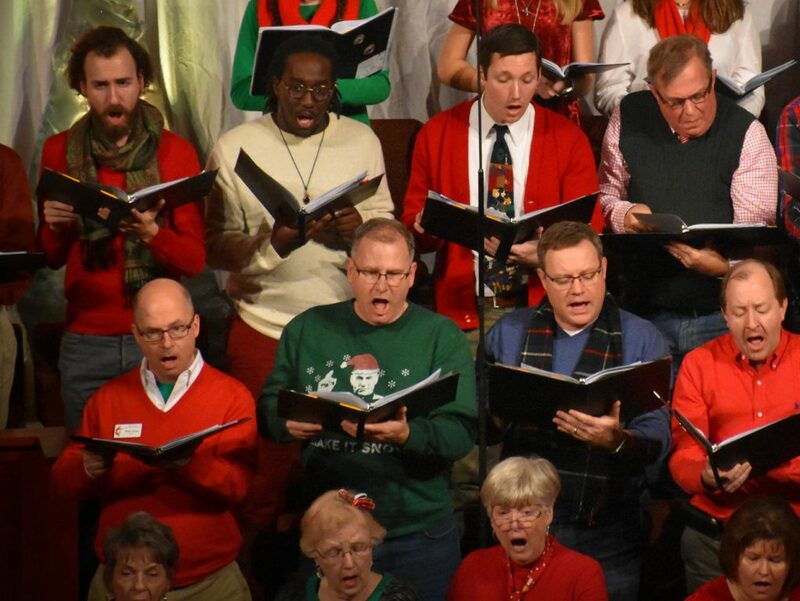 Kyle Stubbings has been a member of the Chancel Choir since joining JCUMC eight years ago. He and his daughters, Lucy and Caroline, are active members of the church and community. As we enter Advent, Kyle was asked to share some thoughts about the choir, music, Advent, and green apple bubble gum. Q: What is your favorite thing about performing with the Chancel Choir? A: This is the first church where I’ve been able to sing with a really large choir, able to do sophisticated music arrangements. I think it’s great that the music ministry attracts so many great vocalists and instrumentalists. Q: How much time do you all practice on average each week? How does that increase for Advent? A: Our rehearsals run ninety minutes, once a week. I suspect we’ll have an extra weekend rehearsal before the Pops concert, but that’s it for the extra work. Q: What is your favorite Christmas carol to perform? A: I’m terrible at picking favorites! I’m glad that we’ll have opportunities to sing so many great carols, but I always look forward to “The First Noel” and “Silent Night.” Both of those transport me back to that glorious first Christmas night in Bethlehem. Q: How long have you sung at JCUMC? A: I’ve been singing with the chancel choir since I joined JCUMC eight years ago. And I’ve been wearing a choir robe since I was 5. I have to admit, back then the best part of choir was that the director handed out candy after rehearsals. I always chose the green apple bubble gum, and the smell of it drove my dad bonkers! Q: What’s a favorite choir Advent memory? A: Our first Christmas Eve service in the new sanctuary took my breath away. We had such a huge crowd, and being in that beautiful space filled with candlelight was overwhelming. I suspect I wasn’t the only one in tears. Q: Why do you serve JCUMC by being in the choir? A: Musical performance has been a huge part of my life since my school days, and music is always the most moving part of worship for me. It just doesn’t feel right for me to be sitting out in the pews instead of the choir loft. Q: . How does the mood change during a candlelight service? A: The dimming of the sanctuary lights and the gradual spread of firelight throughout the worship space change everything! Everyone comes into the sanctuary talking and grinning, greeting friends they may not have seen in a while. But the end of the service is hushed and reverent, like we’ve all gathered there to witness Jesus’ birth. Q: Anything you’d like JCUMC to know about the choir? A: We have several professional musicians in the choir, but we welcome anyone who wants to be a part of this ministry. You don’t even need to be able to read music! Nathan makes available practice recordings so you can take as much time as needed on your own to learn your part. And we can fit several more people in the loft if we close the gaps between the chairs a bit! If you’d like more information about joining the Chancel Choir, please email connect@johnscreekumc.org.